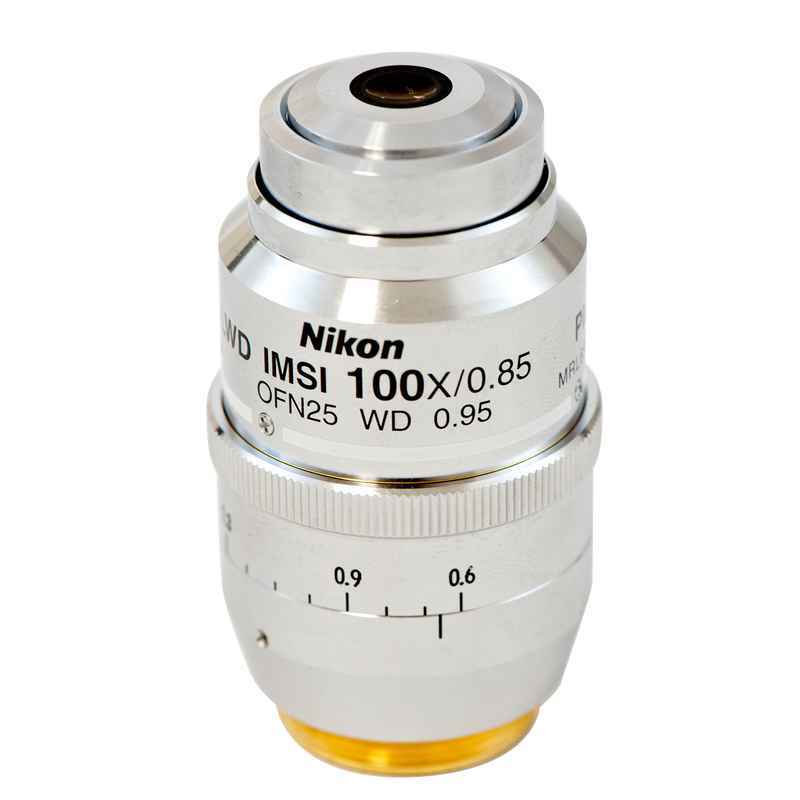 Optics | Products | Nikon Instruments Inc.
Each Nikon microscope objective is precision-crafted to provide the highest level of clarity and overall optical performance. 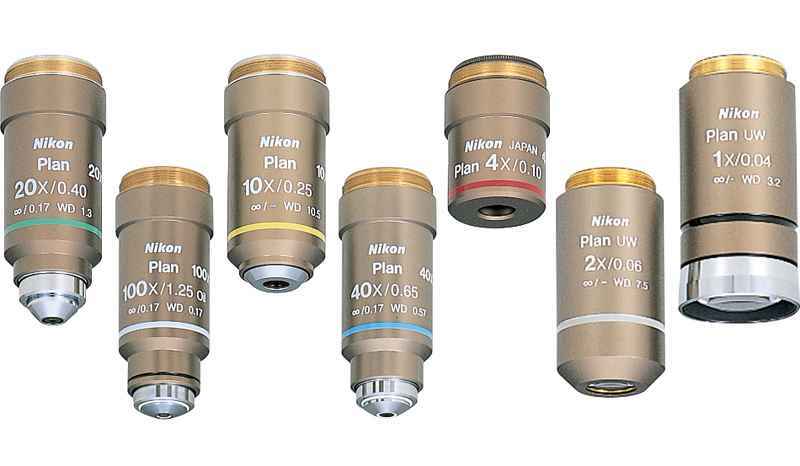 World-class Nikon objectives, including renowned CFI60 infinity optics, deliver brilliant images of breathtaking sharpness and clarity, from ultra-low to the highest magnifications. 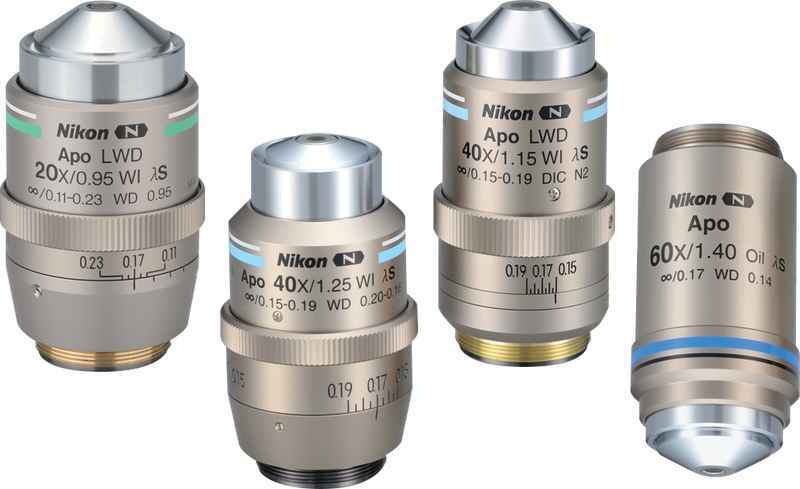 Microscope objectives corrected for chromatic aberration across the entire visible spectrum. Phase contrast objectives corrected for chromatic aberration across the entire visible spectrum. 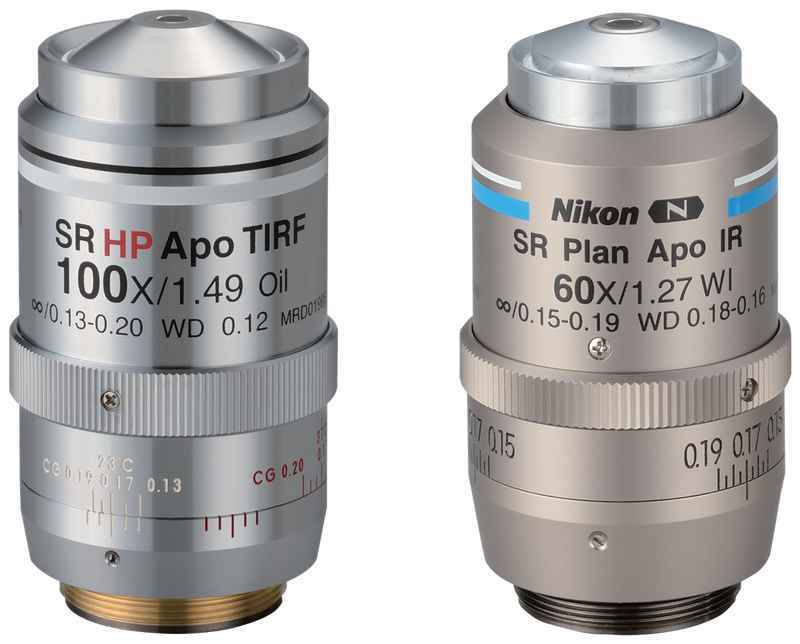 Phase contrast objectives incorporating Nikon's proprietary apodization technique to reduce halo effects in thick samples. 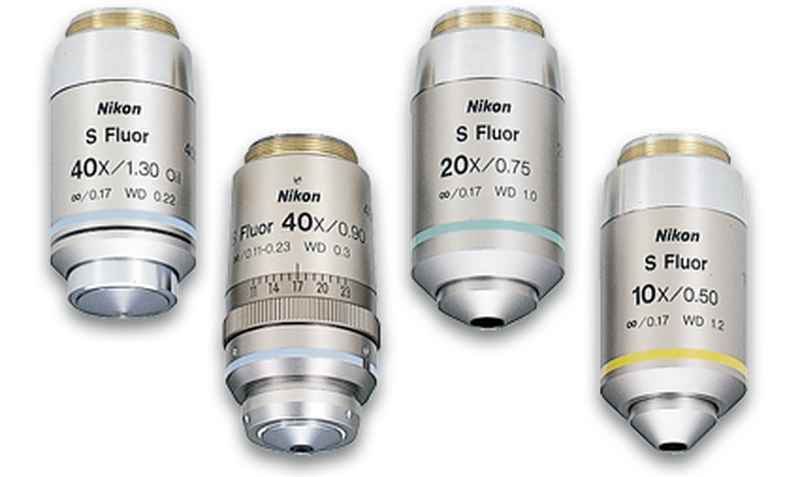 Microscope objectives providing incredible image flatness over the entire 25mm field of view, with chromatic aberration correction throughout the entire visible spectrum. Phase contrast objectives with incredible flatness and corrected for chromatic aberration across the entire visible spectrum, including the violet wavelength. Objectives designed for ICSI and microinjection applications. Enables high-contrast observation of stain-free samples through plasticware. 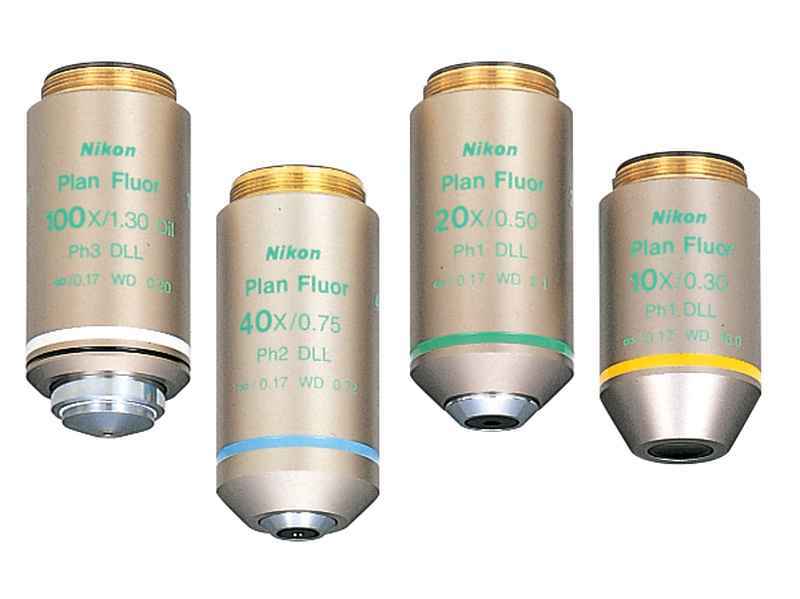 Microscope objectives optimized for live cell and confocal imaging. 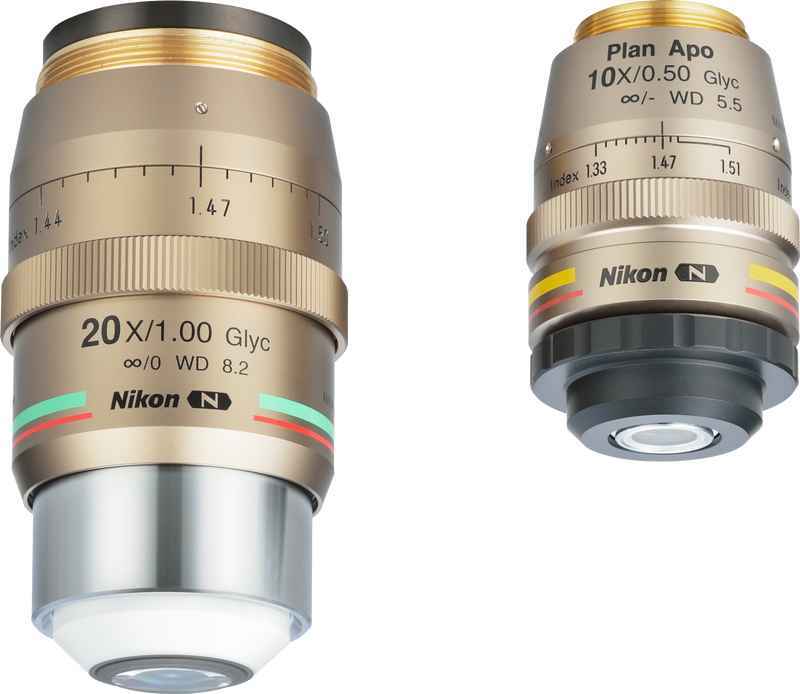 These objectives offer superior chromatic aberration correction and high transmission rates thanks to Nikon's exclusive Nano-Crystal Coat technology. 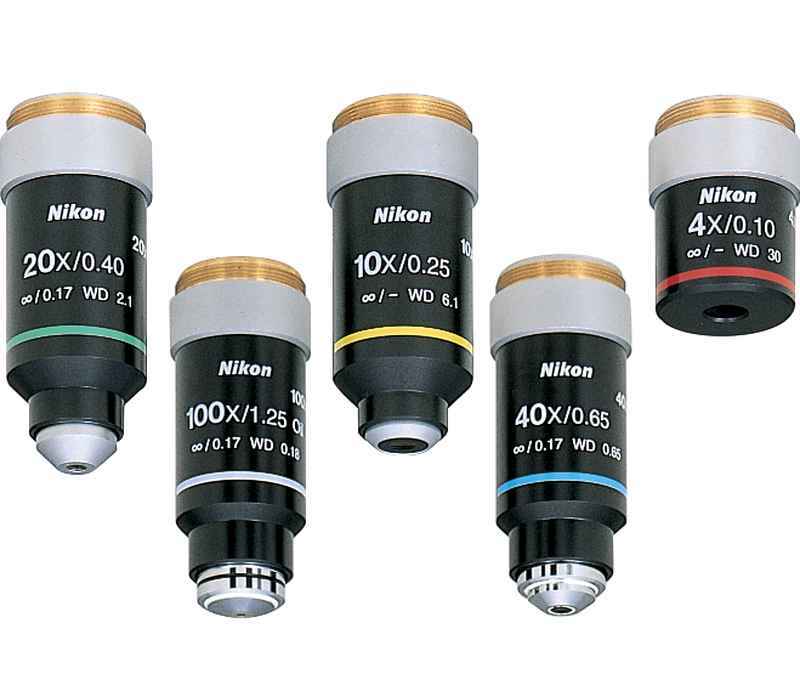 Exclusive Nikon Nano-Crystal Coat technology produces bright, sharp and high contrast images perfect for multi-color fluorescence live-cell imaging. 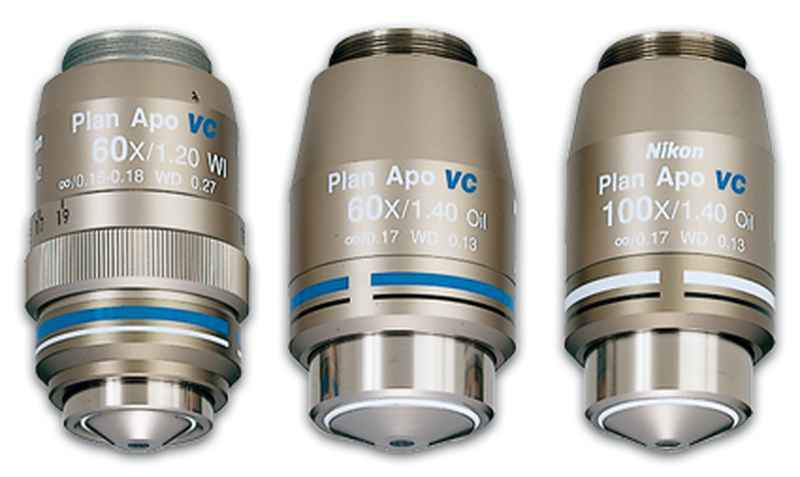 Phase contrast objectives with superior image flatness, chromatic correction, and high numerical apertures. 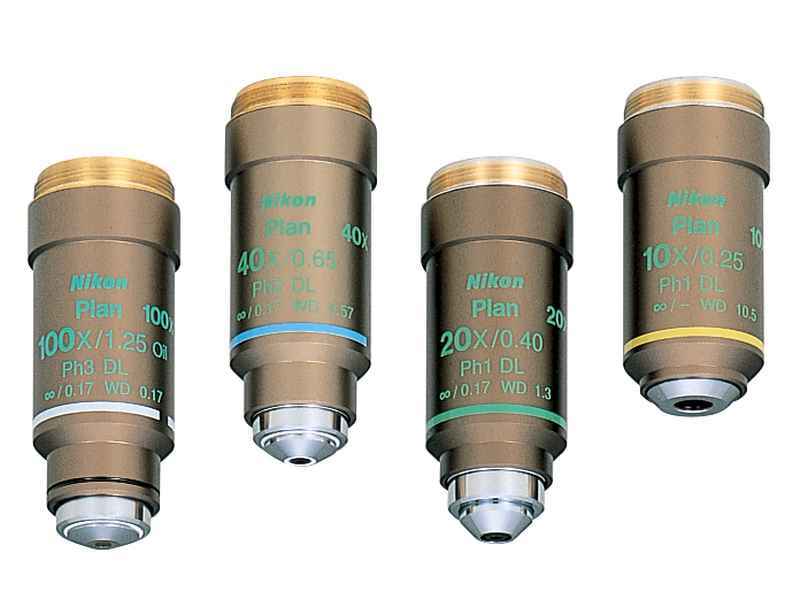 With extended chromatic aberration correction (including the violet range), these objectives are ideal for multi-spectral confocal applications. Objectives that do not use a cover glass, suitable for observation of specialized samples. These objectives are effective in research utilizing stem cells and drug design research. They are capable of a long working distance and provide a high numerical aperture. 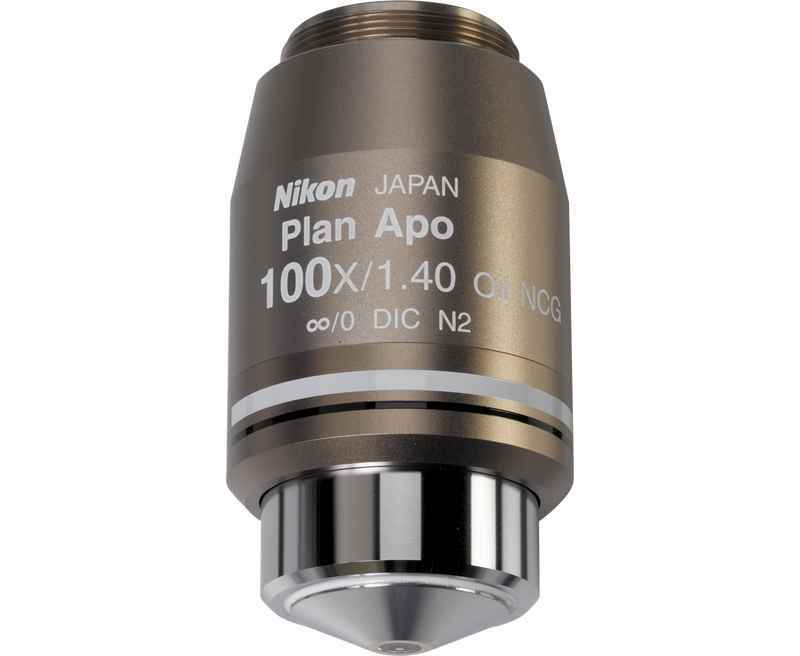 A microscope objective which features an exceptionally high transmission from the ultra-violet to the infra-red, and flatness across the entire field of view. 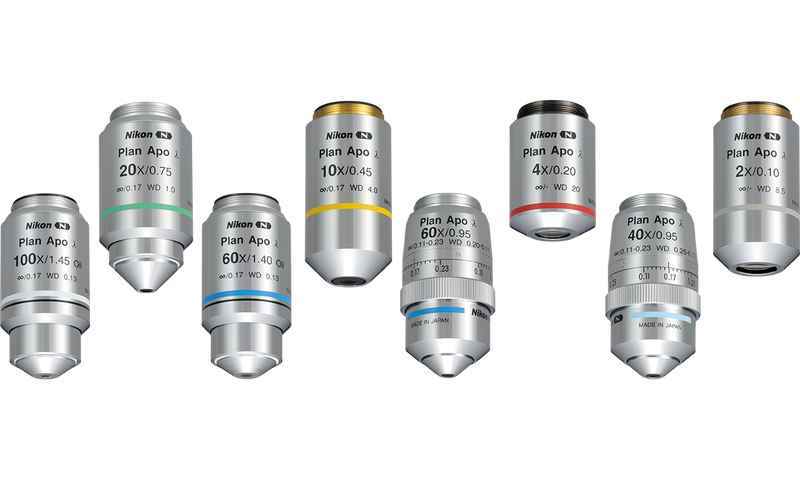 Ideal for critical fluorescence applications. 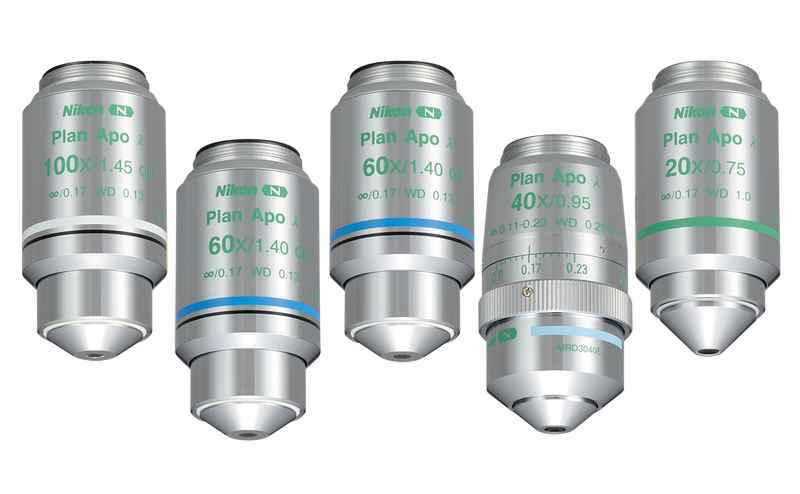 Multi-purpose microscope objectives suitable for phase contrast, brightfield, and fluorescence observations. 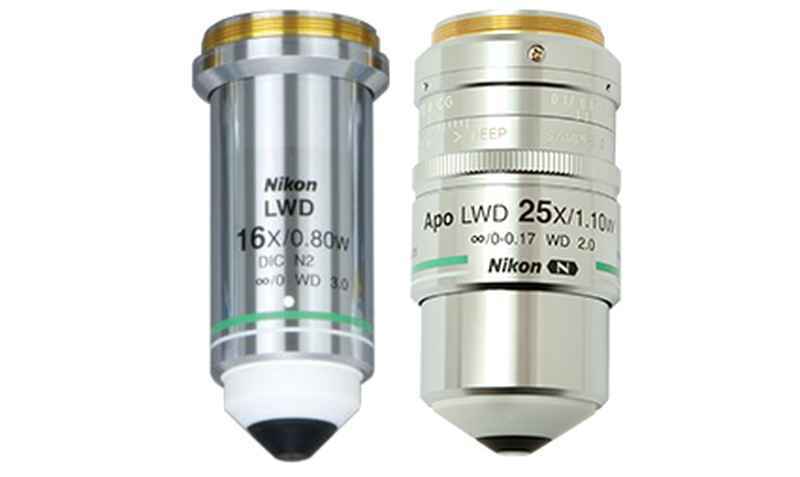 Microscope objective providing exceptional UV transmission, high NAs, and superior chromatic correction. Ideal for Ca2+ imaging and caged compound work. 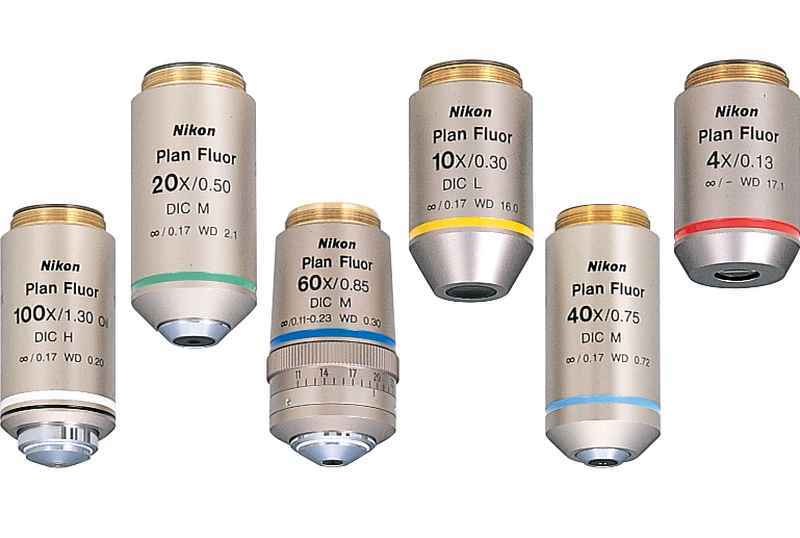 With exceptionally high numerical apertures and ultra-long working distances, these lenses are designed for multiphoton imaging and electrophysiology applications. 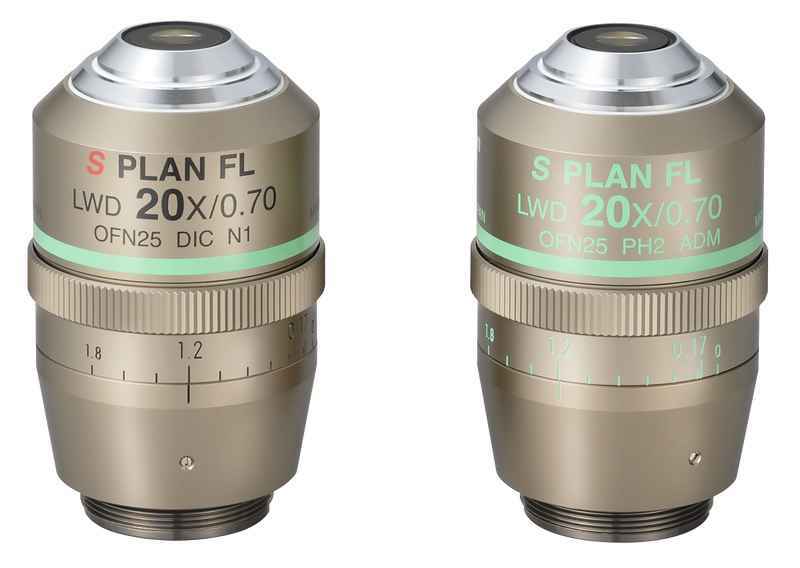 Objectives with long working distances and high numerical apertures. 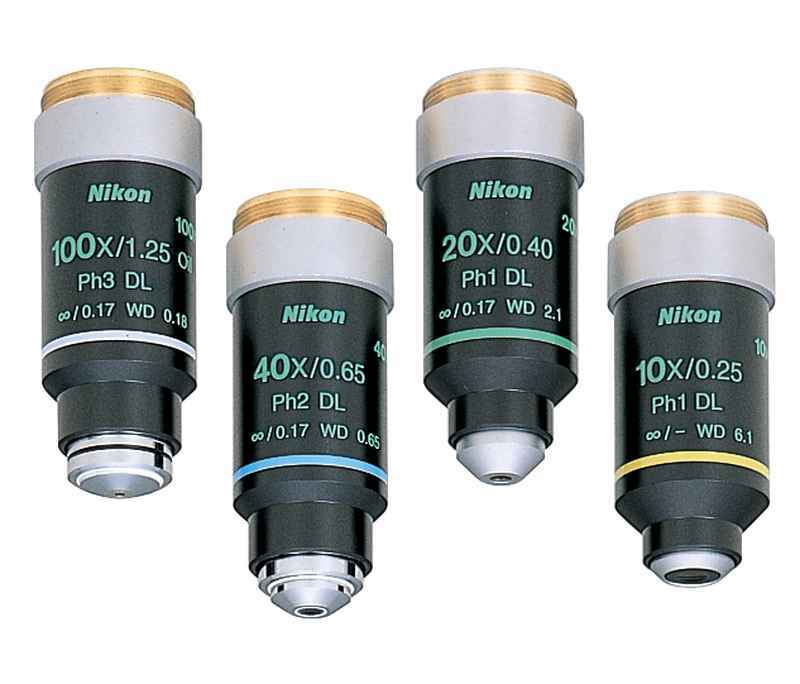 Ideal for electrophysiology, IR-DIC imaging, and multiphoton applications. 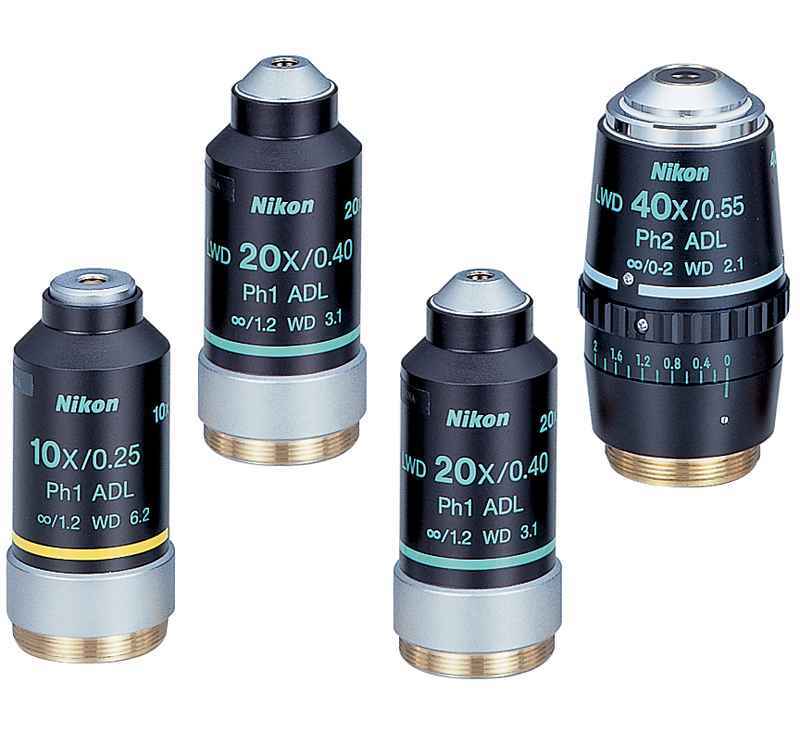 Microscope objectives designed specifically for Total Internal Reflection Applications, featuring the highest N.A. of all Nikon objectives. 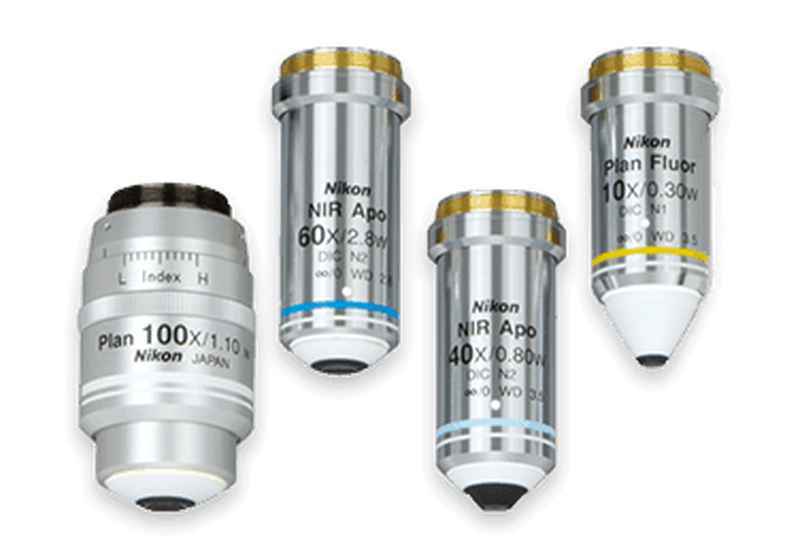 Objective lenses designed to provide the highest quality point spread functions for super-resolution imaging. 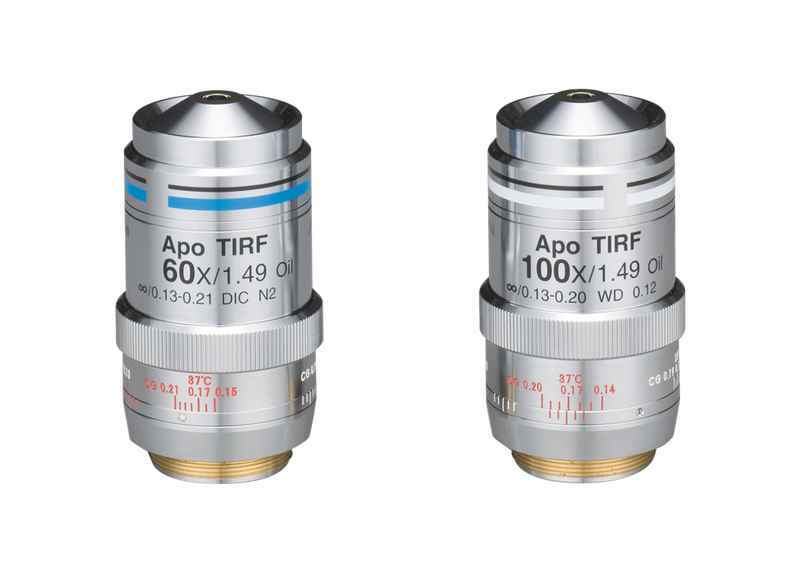 Compatible with various optical clearing agents which have a wide range of refractive indices. 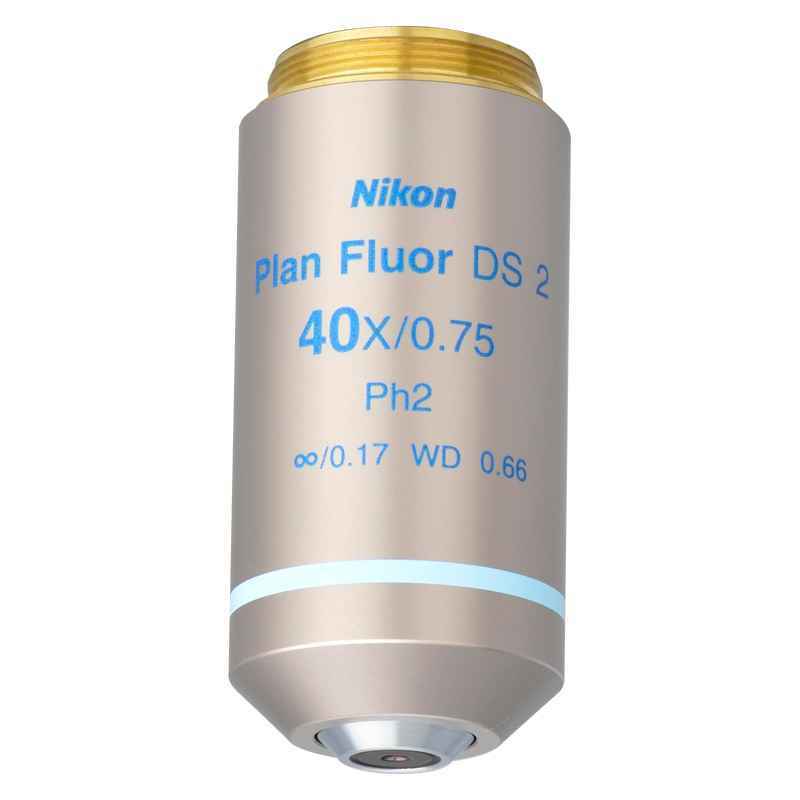 Designed for ultra-deep, large-scale imaging. Dispersion Staining (DS) includes a number of related techniques for identifying materials based on their dispersive properties. Identification of asbestos is a common application of DS microscopy. Dry objective for high-magnification and high-resolution brightfield and DIC microscopy, optimal for intracytoplasmic morphologically selected sperm injection (IMSI) and related applications.